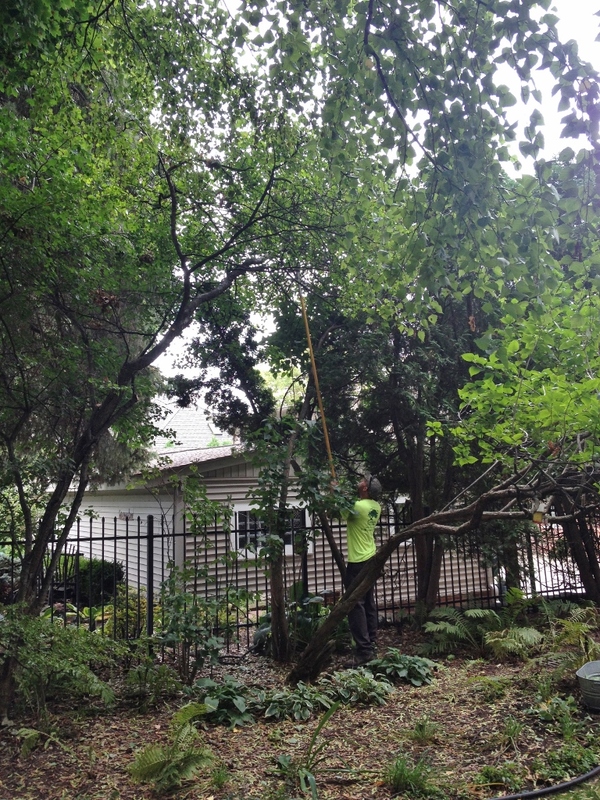 In early August, we had our trees assessed by an arbor company. 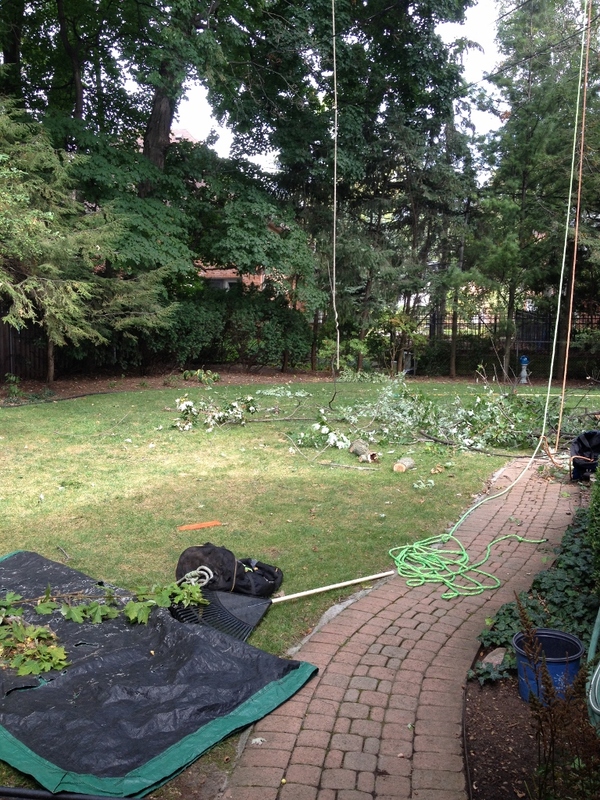 We decided to get a few things done this year, including the (much debated) removal of one of our juniper trees out front (a beastly, overgrown thing that needed to go, in my opinion) and the trimming of our large silver maple in the backyard. The company was booked until late September, when they came out to do the work. It was $75 to take down the tree and another $50 to grind the stump. We’re going to live with it for a while before deciding what to put in its place. And when I say a while, I probably mean next Spring, since it’s almost too late to really plant anything now. I would love a flowering plant. One that I can clip and bring into the house when it blooms. We shall see. 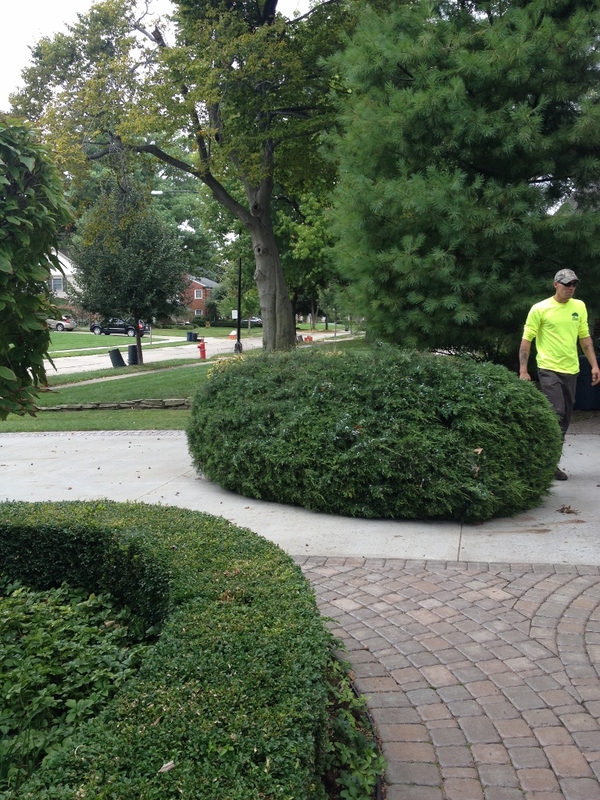 They also trimmed our prickly Hawthorne. 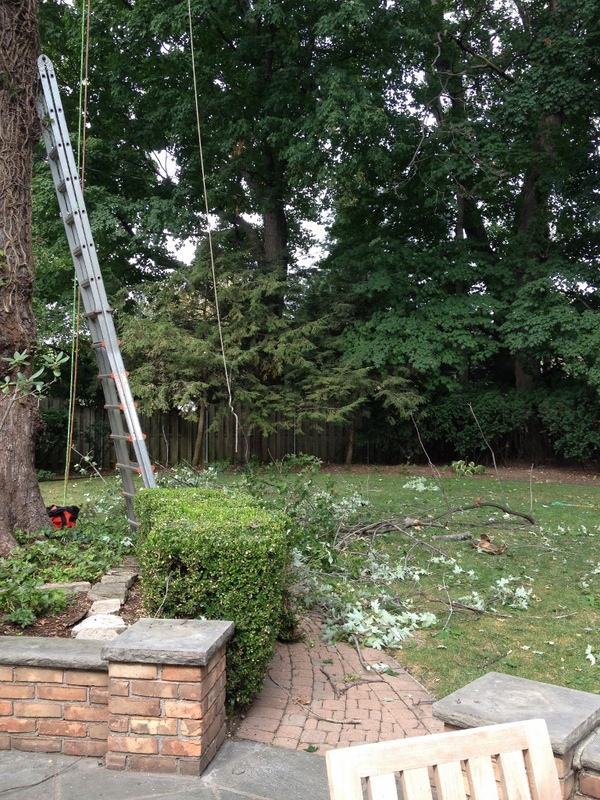 I totally could have saved the $110 and done it myself if I had a large ladder but the last time I trimmed that tree I got a huge gash on the top of my head (hence the tree’s name. It’s no joke), so I had to leave this one to the pros. 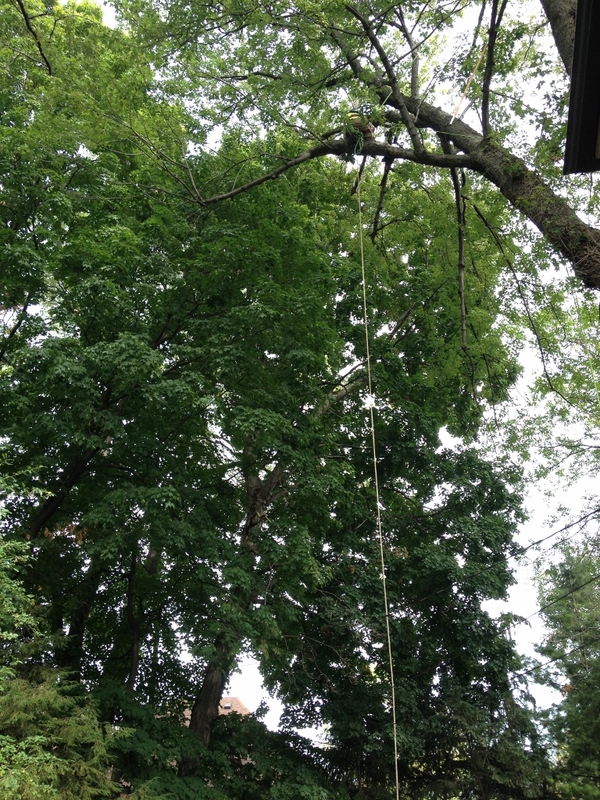 It took several hours for the guys to trim our silver maple (he is hard to see up there – just follow the rope). They said we were quoted way too low ($375, which we actually thought was pricey) for the job they ended up doing. One guy said it should have been more like $3000. Whoa. Glad that was not my mistake. At one point the guy in the tree let out a startled shout. He said there were a bunch of squirrels living in a hollow branch of the tree. He kept tapping the limb to make sure they all got out before he cut it off. There were five or six of them total. Yikes! 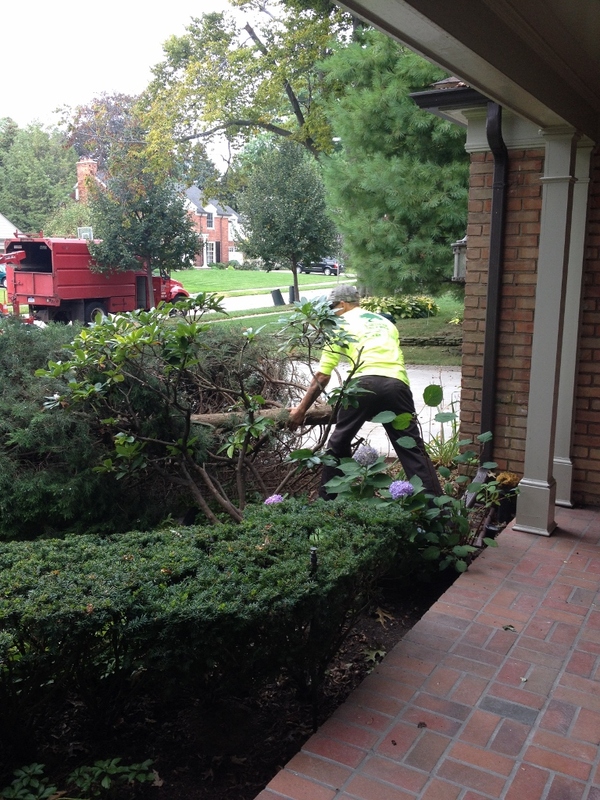 I really wanted to take down our ailanthus tree, which I’ve been told is the reason for most of our weed issues. But that would have been another $1500-$2400 $2400 so unless we can cough up the money by next Spring, I’m going to fight those weeds again next year. Not super exciting stuff, but I wanted to catalog it. The garden is now covered in Fall leaves and I don’t even, what I call “walk the garden” (check up on all my plants, to minor weeding, fixing, watering) every day anymore. At this point I’m just crossing my fingers that winter will be kind. At least next year I will have a jump on Spring, with some idea of what I want to accomplish in the garden vs. this year, when I didn’t even know most of the names of our plants. 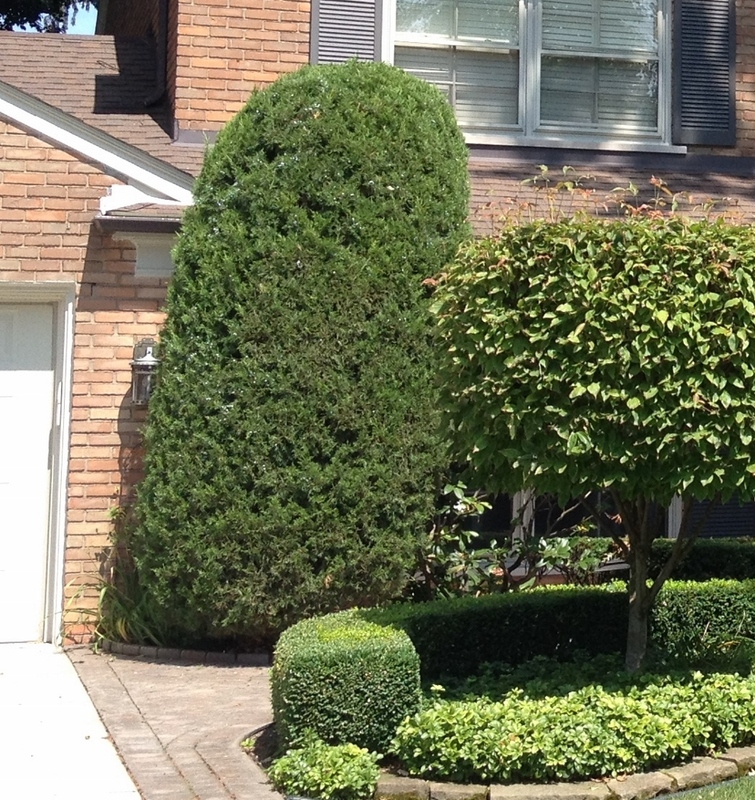 Shirley’s garden. 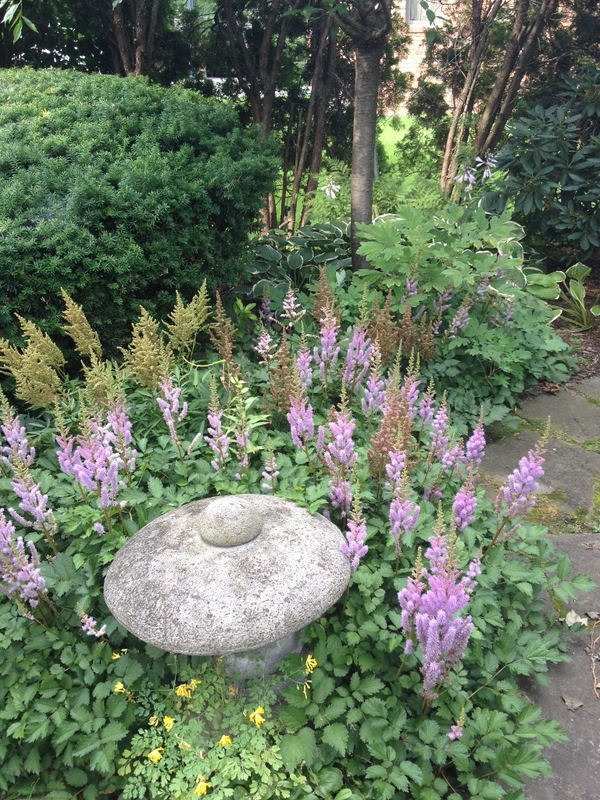 I have some of those astilbes in my yard now which I planted at the end of the season. I’m hoping they will come back strong next Spring. A few weeks ago I saw Shirley in her church clothes, walking slowly around her garden, surveying the plants. I went over and said hello and she told me she was saying goodnight to (I’m 90% sure it was goodnight and not goodbye) and thanking her garden. She said she does it every year. Thanks the garden for its beauty, its bounty, its goodness. Until we meet again. Thanking nature seems so simple, yet so powerful (and so zen, although she is Catholic). Being grateful in general is a practice I, for one, need to do more of. For sure I’m adding this one to my list. 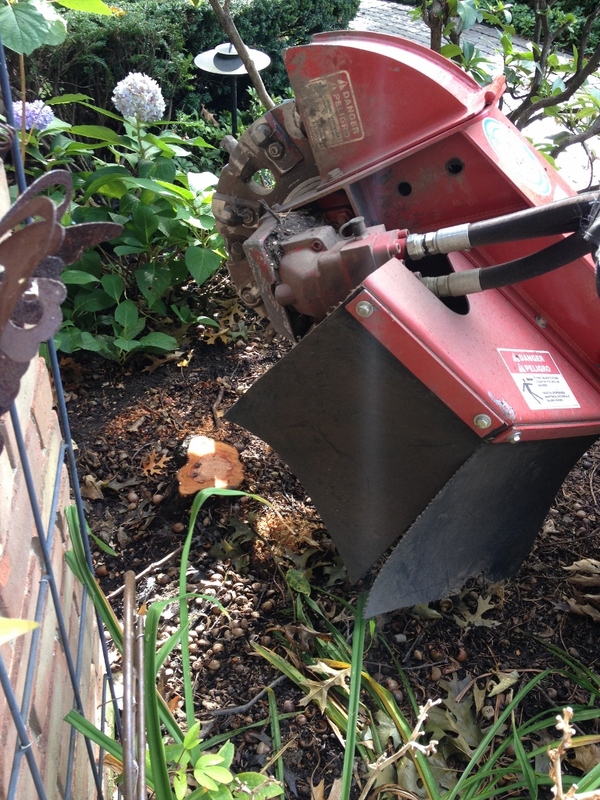 This entry was posted in Beauty and tagged Gardening, Juniper, Tree Trimming. Bookmark the permalink. 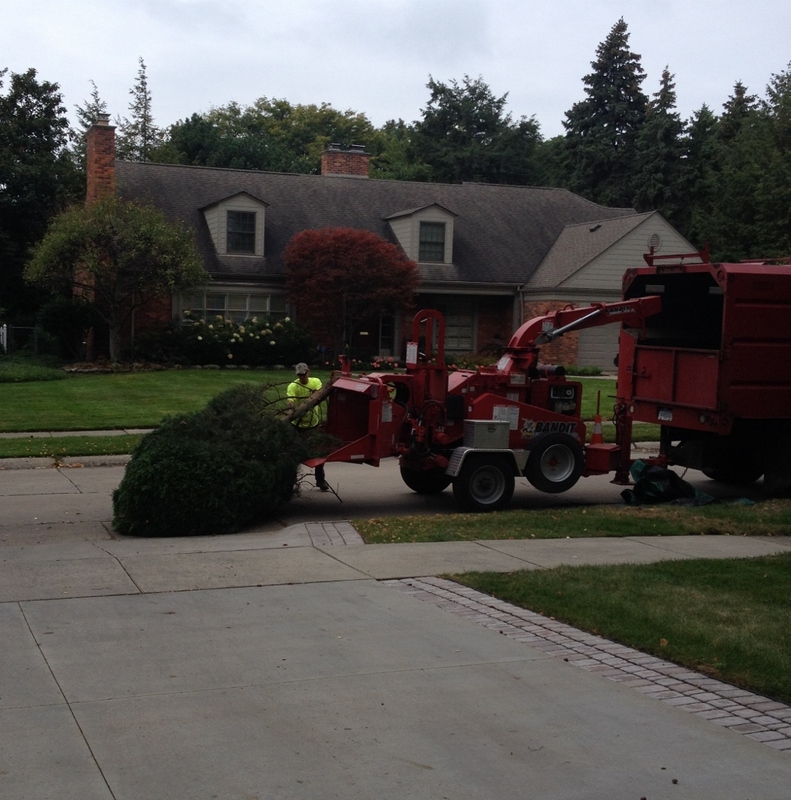 Quite impressive to watch the trimming of a tree! However, for pros only! Always a pleasure Lani! Your home looks beautiful.